NXP has released it's new LED Driver IC the SSL2109, this is a high-efficiency buck controller for high-power, non-dimmable LED lighting applications using non-isolated topologies. 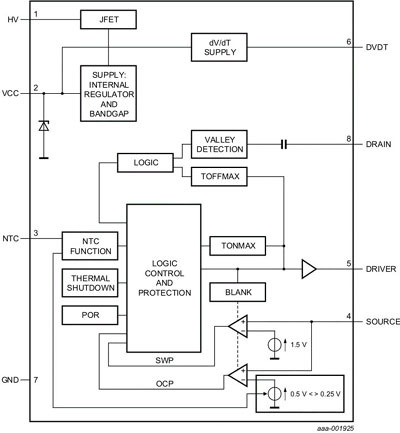 The SSL2109 controller-only buck LED driver is available immediately. 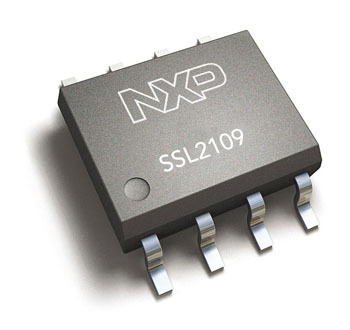 In addition, NXP will release two additional members of the SSL2108x family - the SSL2108xA and SSL2109A - at the end of June. The SSL2108xA and SSL2109A remove the short winding protection feature.